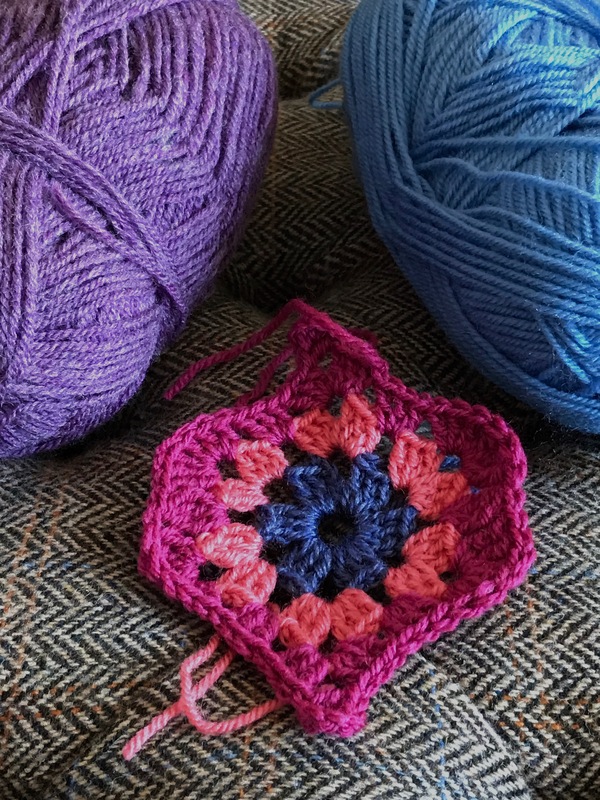 This entry was posted in Knitting & Crochet and tagged crochet, knitting, Mystical Lanterns, Next Generation, snooker, spring blossom, Star Trek, Voyager, World Snooker Championships. Bookmark the permalink. Your post made me smile so much. Lovely crochet and then the discovery of a kindred Trekkie who also likes watching snooker! I hardly watch snooker any more these days but used to spend hours watching with my Dad when he was home on leave, and I would generally have some project or other to hand at the time. Courtesy of Netflix, though, I am catching up on old episodes of TNG and DS9 (having rewatched all of Voyager already). Happy crafting and watching. Beautiful crochet! I had to laugh at you being hooked on snooker. Like many people, I was pretty obsessed in the 80s, but haven’t watched any since, maybe I should remedy that! Thanks Sarah – why not give it a try! Chaz and Dave, classic duo! I have been watching BBC Asia for the results and sports news in general. It’s such a relaxing watch and you can zone out and jump back in. It’s handy for reading, only looking up for a particularly enthusiastic clap. Oh my goodness, that throw is beautiful.. Such cherry colours all blended together. Your crochet project is coming along so well, Liz! Yippee! 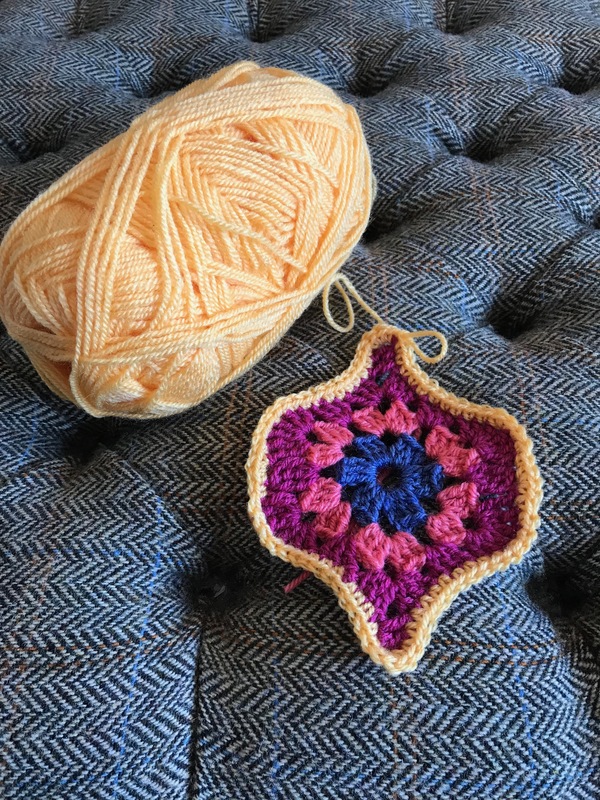 The crochet is beautiful, Liz – the narrow line one (what’s the technical name?) is really gorgeous. I used to watch snooker like an absolute addict at University. In 1985 I had an ancient, fuzzy, crappy old black and white television, so old it had a knob to rotate to change channel – not exactly ideal for watching a snooker final but it was the only TV in our block, and there were about 17 of us piled up on the bed watching Steve Davis and Dennis Taylor. As the tension built all the blokes would bury their faces in the duvet whenever anyone actually picked up a cue, shrieking “tell me what happens!! Don’t tell me! !” By the time it was all down to the final black we were in complete hysteria and the cheering when Dennis Taylor won could have been heard 100 miles away. I don’t think I’ve watched a game since – what could beat that? I know you’ve read some of Lionel Shriver’s work – have you come across “The Post-Birthday World”? If you haven’t, look it up and you’ll see exactly why I’m mentioning it now! If you have, what did you think of it? Thank you Liz. I love your Davis v Taylor story. I had a similar experience, with friends clustered at our house. Only one of them was rooting for Davis; all the rest of us were cheering on Taylor. It was one of those incredible, unforgettable evenings. You are right that nothing much comes close, but it is all still a good watch. Thanks for this Liz. Her characters are hard to like indeed – the protaganist in So Much For That is about the only one I can think of who’s even mildly pleasant! I suspect she sees making any effort to be pleasant as a weakness, which must lead to a pretty uncomfortable life. I thought PBW ingenious but found it a bit over-plotted, with the exactness of the mirror-imaging being strained at times. But clever the way that the effects of not committing an act can be just as corrosive as committing one. Oh that’s brilliant! I just looked it up now. I don’t think they show snooker on TV here but I completely understand about sports being a great pastime while sewing or knitting or crocheting. I get a LOT done during college football season and any time the Olympics are on. Then, when I finish a project, I always remember what sporting event it was associated with! Both your projects are so wonderful–I keep trying to figure out which I like best! Can’t choose (can you?)! I remember Mum and I used to sit transfixed in front of ‘Pot Black’ when I still lived at home. I have watched snooker too but not recently as I don’t watch much TV any more. I had a laugh at Liz Wx’s comment about watching snooker on a black and white TV; the commentators were so skillful in those days describing everything they saw so carefully. 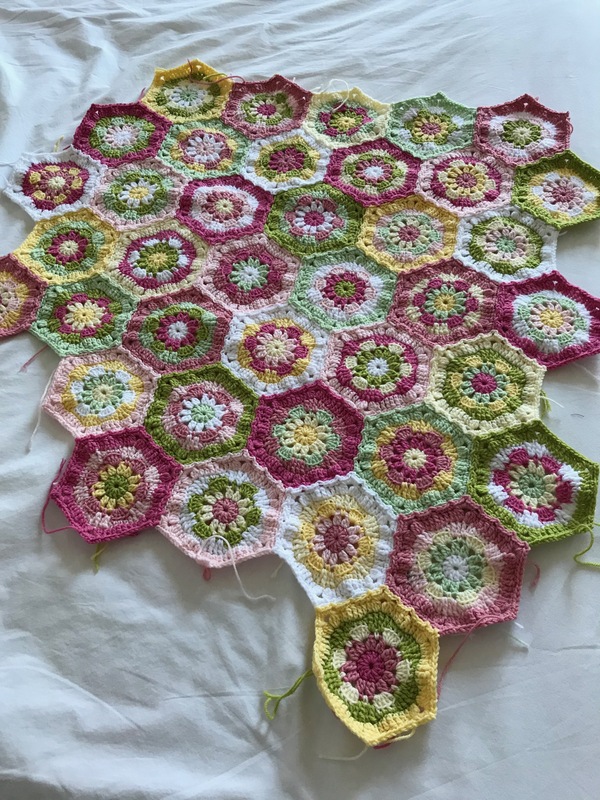 Your crochet projects are absolutely beautiful! We both enjoyed Star Trek – though I’m not sure I could crochet through that! And for me, it has to be the original series, nothing afterwards came close! 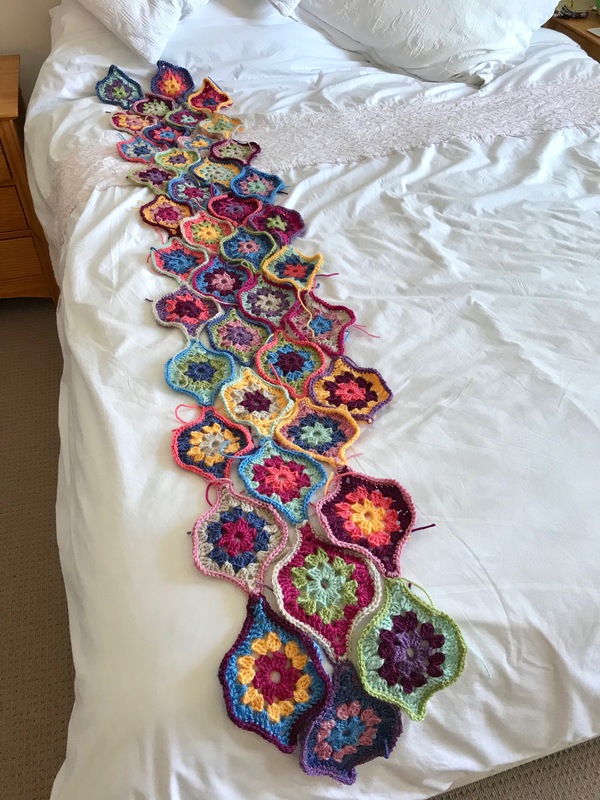 Meanwhile – gorgeous colours and marvellous progress with these projects, Liz. Happy Hooking!